Erivum Puliyum: Sweet Berry Dosa And a Break !! Sweet Berry Dosa And a Break !! Every day when mom's pack lunch boxes for their kids,each kid has the curiosity to know whats in it and so instant is their question- Mom,what is for lunch today? 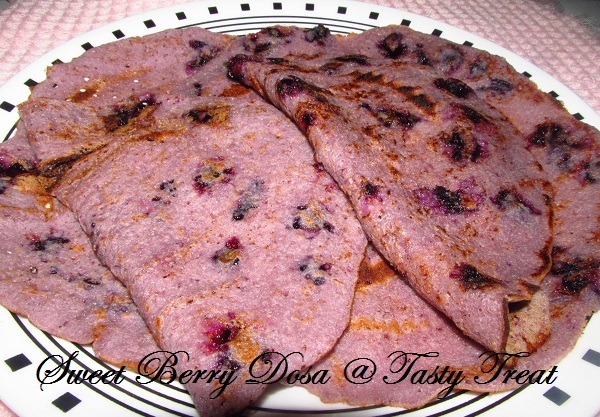 If you repeat the same kind,they will feel bored and will be reluctant to have these foods too.That's the time our brain starts boosting new ideas to disguise kids with a new recipe;which is easy to prepare and equally healthy too.Sweet berry dosa is one such kind of a recipe where you donot have to think twice before preparing it! Blend 3/4th of the blue berries in blender without adding water.Strain the juice and add to the dosa batter. Chop the left over berries finely and add to the batter. Add sugar or jaggery to sweeten as per taste. Place a non stick pan or tawa on medium heat,spread the batter once the pan is hot. Flip the other side and cook. Friends,Am taking a small break from blogging due to some personal issues, Hopefully will be back with the zeal and enthusiasm in blogging ! !Till then wishing you all "Happy Blogging." 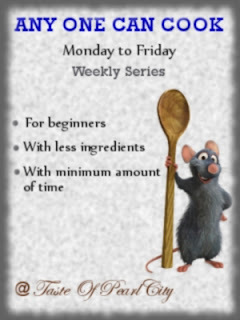 Nice and sweet lunch box recipe... Have a great and fun-filled break..
hey julie that's really a cool looking dosa- and have a happy break & get back soon ! Wow..an east meets west dosa!!! Delicious......and enjoy ur break!! Looks beautiful and tempting..enjoy your break..
have a great time n back with a bang !!! Lovely!! I would love to have a few of them ! wow, what simple and delicious dosa, sure kids delight..lovely recipe. Very interesting, innovative and unique recipe. Dosa looks colourful, flavourful, crispy and tempting. Thanks for this lovely recipe. 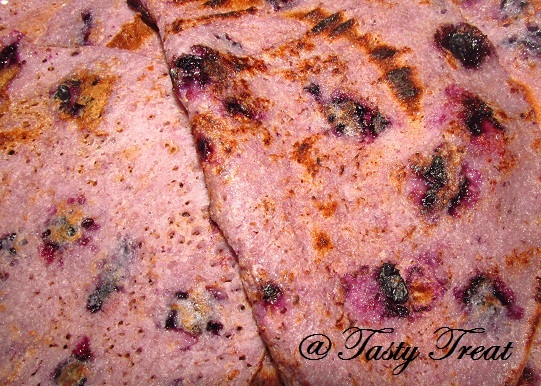 Great idea to use blueberry for dosa, looks yummy! thanks for visiting my blog and leaving an encouraging comment Julie! This is very innovative. it's like blueberry crepes..
innovative recipes..Delicious & healthy dosa..
hi julkie, very sweeet looking pancakes and artistic purplish color too. the texture also looks great..
blueberries one of my favorites. i have yet to look up for dosa flour, we have plenty of imported varieties, hope dosa too. oh what a fun way to sneak some berries in! looks great! hey first time to ur blog....berry dosa sounds new and delicious....following uuuuuuu. Have a great time :).. This is really special! I have not seen blueberries used in dosa before! wow, beautifully colored and yummy dosas.